The Minibus Transport Solution is leading transportation service providing company in England. We provide Transfer Services in London and many other national locations. Spitalfield is one of the tourist attractions in the London. We provide Spitalfields Airport Transfers and serve millions of customers every year. There are various airports in London and at every airport there are several transport companies that serve travelers. MTS is the best transfer company in the town that provides excellent transportation services. For experiencing outstanding transfer services Book Taxi from Spitalfields to Heathrow, Stansted, Luton, Gatwick and London city airport. We provide transfer service from all these airports. If you want to make your journey comfortable, then choose Spitalfields Taxis and Minicabs. Taxi and minicab are best for enjoying comfortable and VIP travels because you will feel relaxed and happy. , it is not necessary that you ride a taxi or cab by yourself. 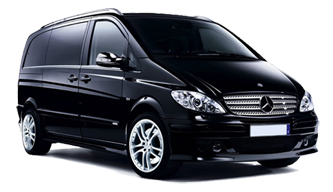 You can obtain service of driver because we also offer Minibus Hire Spitalfields with driver. Our drivers are proficient and gracious, so you will not get bored during your travel. They will not ride minibus they will provide guidance and protection. We guarantee you we will leave you at your place safe, satisfied and happy. We have up to 16 seater minibus so if you are in a group you can easily enjoy your journey. No matter your group is large or small get book 7, 8, 9, 12, 14 and 16 Seater Minibus Hire Spitalfields according to the number of persons in group. Travel in a group can save your money and you will enjoy while traveling with your companions. Our services are not only restricted to airport transfers, we also provide Transfer Services for Seaports and business meetings. As London is the busiest city in England so you may get late in reaching your desired place. We will be right there for you to drop you at your desired place. You can choose and book vehicle of your own choice. Choose a vehicle and get the booking done online or by calling us. Our services are open 24 hours and 7 days a week, so call anytime and get booked yourself.